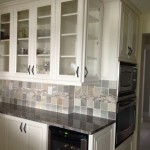 We recently completed interior renovations to a great condo unit in the plantation. 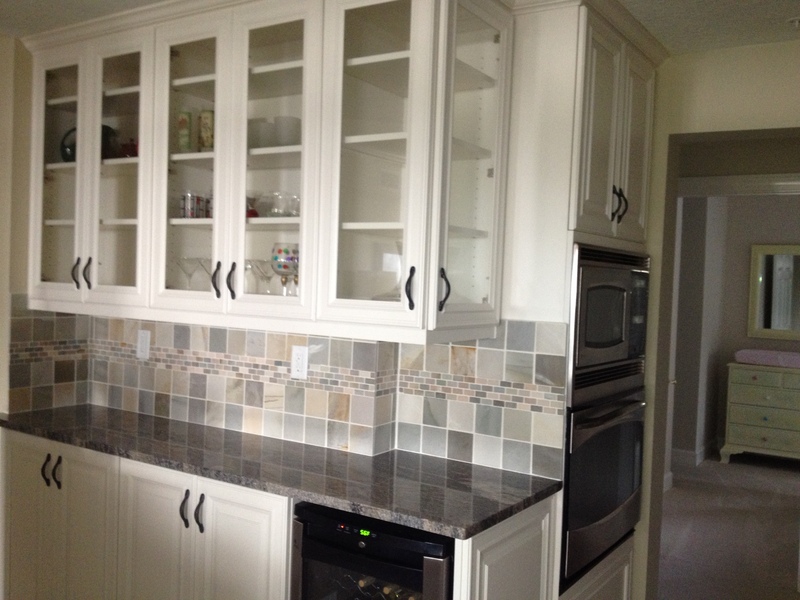 We reworked the kitchen and laundry to make room for a wall oven and microwave. 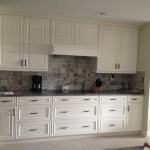 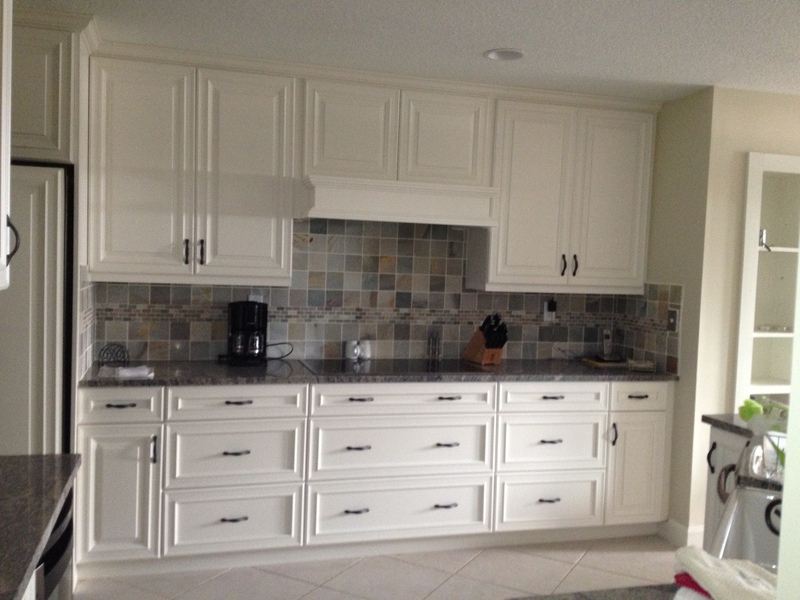 New cabinets and a great backsplash really finish this area off. 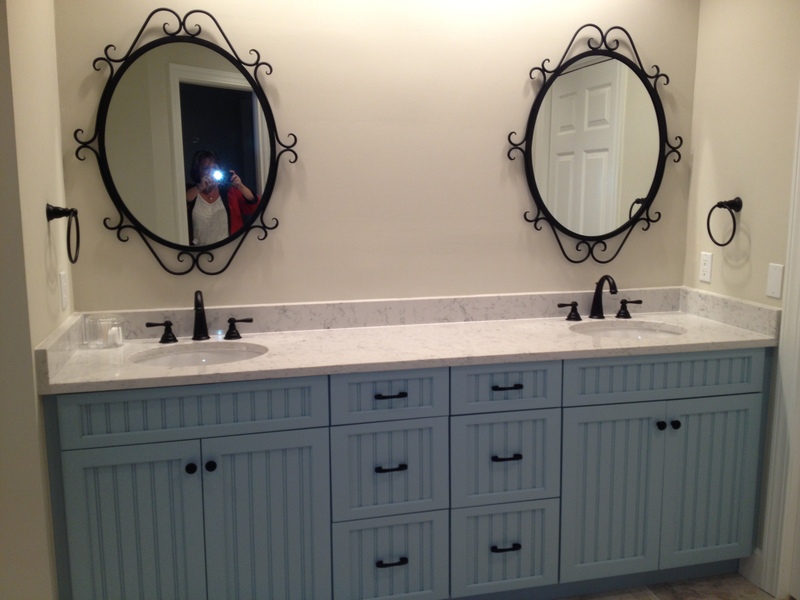 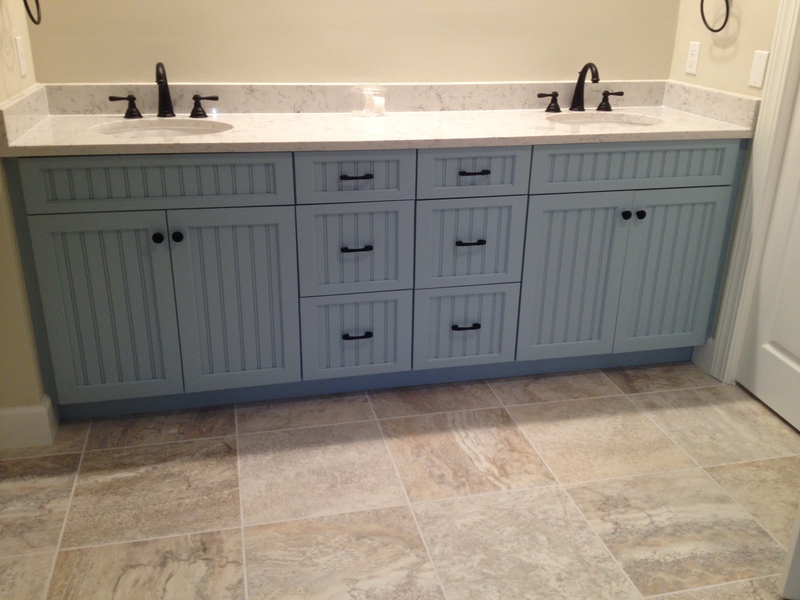 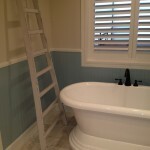 And what a difference in the master bath! 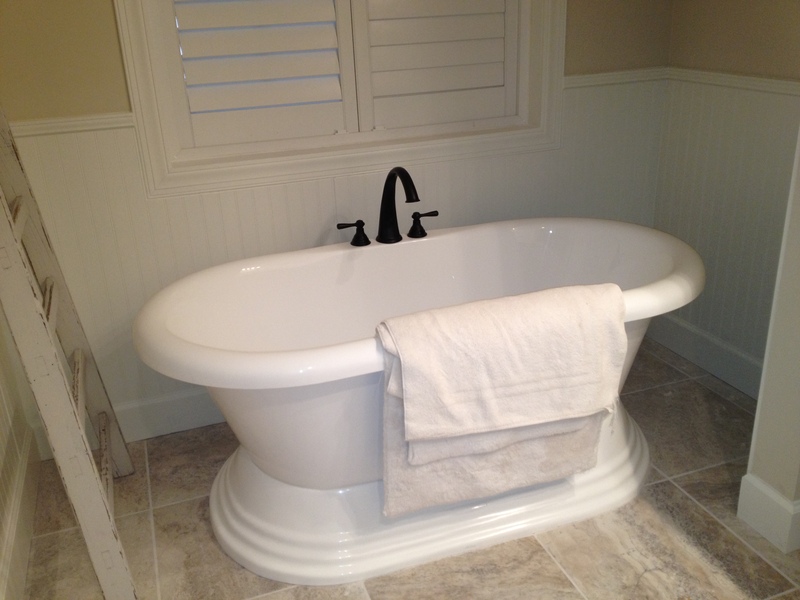 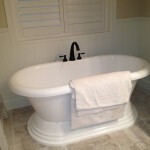 We tore out the old drop in tub and deck surround and replaced with this great freestanding tub. 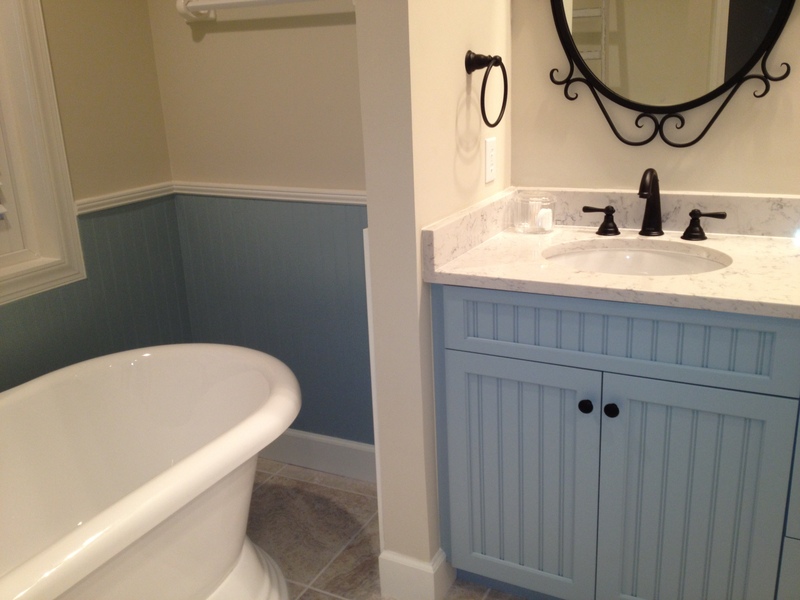 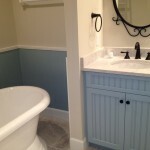 The beadboard wainscoting matches the new beadboard cabinets. 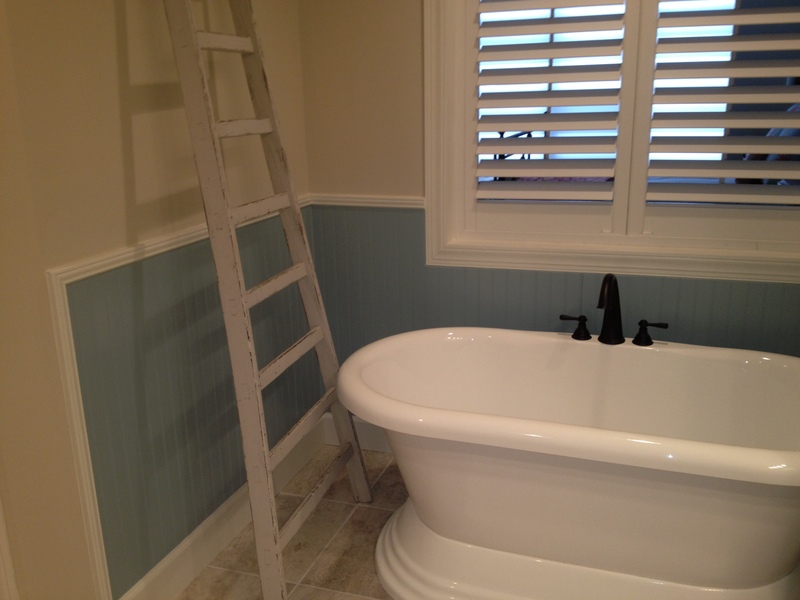 The blue color is great for an ocean condo … It seems to bring the ocean right on in! 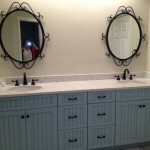 Any time you can get rid of the old full plate mirrors and replace with individual framed mirrors you instantly have an upgraded look. 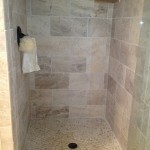 And look at the finished tile work in the redone shower …. 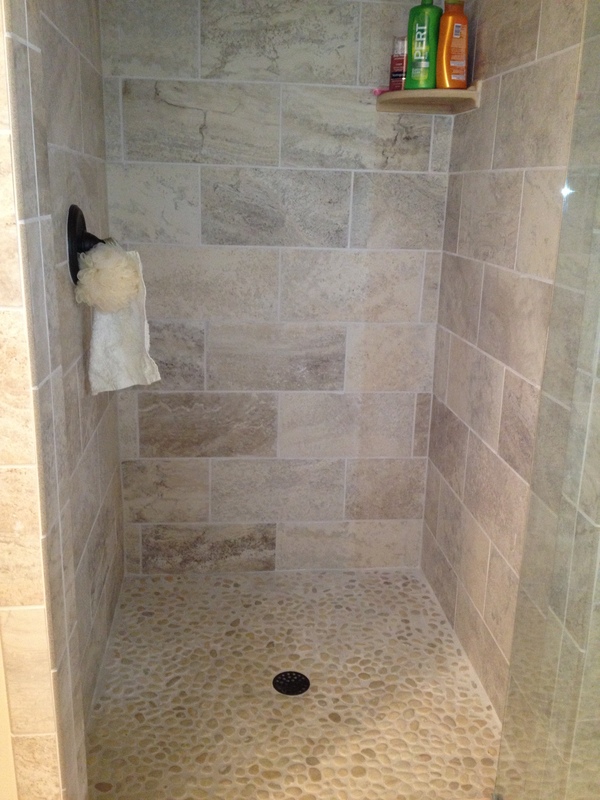 This pebble tile on the floor feels fabulous on your tired and aching feet! 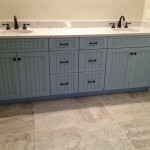 "Since Donna holds her subcontractors to the highest standards, the ultimate product is a beautifully constructed home with extraordinary details."